Anticipating today’s global pilot shortage, Virgin Australia launched its own pilot cadetship program in 2012. In partnership with Flight Training Adelaide, new cadets are initially trained on the single-engine Diamond DA40, before advancing to the DA42 for twin-engine operations, while the Mudry CAP10 is employed for the upset prevention and recovery training. Virgin Australia’s cadet program was very well received, prompting the airline to continue it in the years since. Planning is underway for the next intake year, which will see two intakes commencing in January and July 2019. 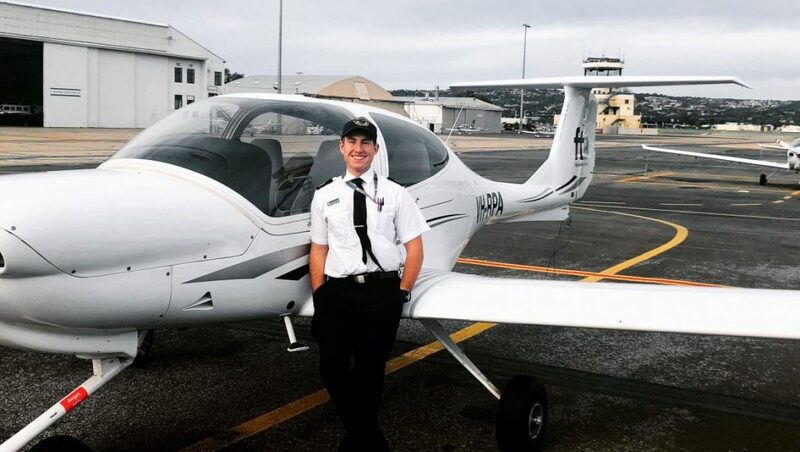 Like many aviators, James Skordas developed his passion for flight at a young age, the current Virgin Australia cadet told Australian Aviation in June. “My father and grandfather both worked in aviation in various roles as ground crew at Sydney Airport. I grew up in Mascot, so being under the flightpath from a very young age and seeing all of the airliners flying overhead, it’s not much of a surprise that I developed an interest from that point,” he says. The childhood support of his parents, in the way of aviation books and models, led to Skordas’ passion developing to a point where he joined the Australian Air League. “Through that, I had access to gliding lessons at Camden Airport, and I was hooked with flying. I knew for sure that I wanted to become a pilot for my career,” Skordas explains. After completing school, the future pilot set his sights on reaching his goal. Working as a labourer, he also took a job as ground crew at Sydney Airport with Virgin Australia. 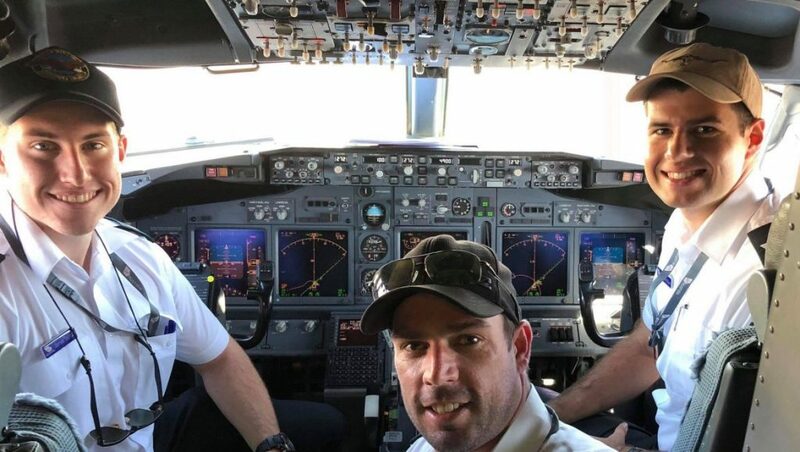 The two jobs helped Skordas save for flying lessons, while his role at Virgin Australia provided him with valuable experience in the aviation environment. It was also through this job that he became aware of the pilot cadet program. 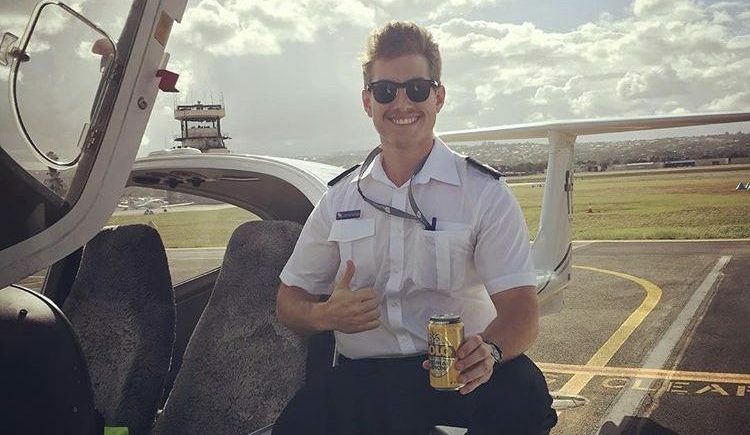 “During my time at Virgin Australia, the pilot cadet program opened up and I thought it was a no-brainer to put my name in and have a go at the application process,” Skordas recalls. Like many of the new recruits, Skordas has aviation in his blood. Such a passion inevitably leads to pilots having favourite types, both historic and modern. “Growing up, I’d say my all-time favourite aircraft would be the 727. I always thought they looked sporty with the T-tail and three engines at the back, and the sound on takeoff was awesome,” Skordas recalls. As for types within the Virgin Australia fleet, Skordas has a fondness for the Airbus A330 following a recent flight in the jump seat. The ergonomic flightdeck design, advanced systems and sidestick employed on the Airbus has left a lasting impression. The cadet program sees new recruits exposed to a variety of aircraft and flight profiles. This is achieved through a progression from single engine types to twins, before eventually being trained for the aircraft the new recruits will fly within the Virgin Australia fleet. 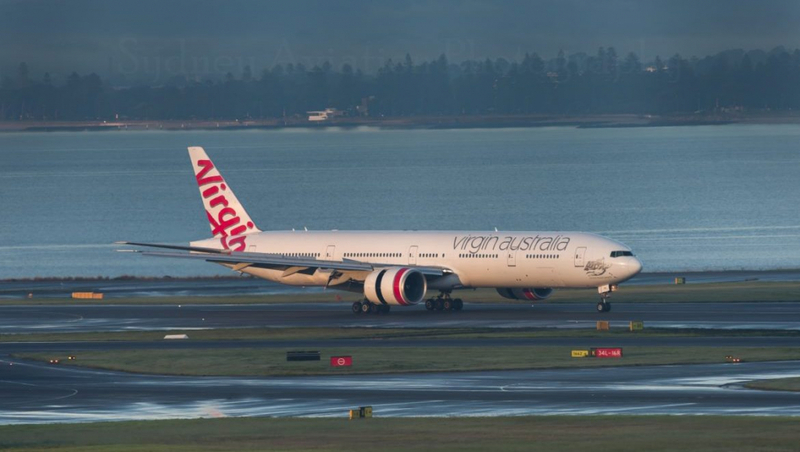 Which aircraft the aspiring commercial pilots are ultimately allocated to at Virgin Australia is unknown to the cadets, with Skordas explaining that the eventual allocation is made later in the program. But for passionate aviators, the type of aircraft is often less important than the realisation of the dream to be in command of a commercial passenger airliner. “In all honesty I’d be happy flying any aircraft – I am definitely not fussed with where we end up,” Skordas professes. Currently, Skordas’ group is flying the DA40 ab-initio trainer. “The DA40 is actually quite a good aircraft to learn on. It is very stable and forgiving, and the Garmin avionics, whilst seeming quite complex at first glance, are intuitive after a bit of practice in learning the systems,” Skordas notes. The course is set up in two phases; ground school and flight training. Ground school is an 8am – 4:30pm day, Monday to Friday. Here, the theory of flight is taught, with classes covering a variety of subjects from aerodynamics to instrument flying. “During the flying phase, our schedule is a bit more like a roster, and we must be ready to fly on any day of the week,” Skordas explains. Following landing, a debrief is conducted with the flight instructor to ensure that the maximum is both taught and learnt from every flight experience. Despite a rigorous schedule, which occupies most of the cadet’s week, the group does find time for recreation with sports, gym sessions and catching up with friends among popular pastimes. “The most important thing is to be balanced with how you approach things, and you will have one of the best years of your life in a program like this,” Skordas explains. As the global aviation industry expands, opportunities for pilots continue to grow. This expansion is part of the cause of the pilot shortage. For new pilots, flying opportunities exist not only at local commercial carriers, but also across a variety of mission profiles as diverse as cargo operators to air ambulances. Such a variety of potential careers adds a level of complexity for up and coming pilots, as Skordas explains. That being said, Skordas is quick to assure aspiring pilots of the benefits of a program that has helped him realise a variety of his aviation dreams in a relatively short space of time. “The first of my two biggest achievements so far was my first solo,” Skordas recalls. Skordas’ second most memorable achievement was attaining his CPL, or commercial pilots licence, as it came with the satisfaction of having a qualification that allowed him to fly for a living. Having passed this major milestone, the sky is really the limit. As the cadets progress through the Virgin Australia program, a realisation that they will soon fly commercial airliners is ever present. This offers time to reflect on past achievements, while looking to the future. For Skordas, flying to and from Sydney Airport is the ultimate goal; bringing his childhood dream to a reality at the airport where his passion was ignited is something that excites him. However, regardless of the airport, it is the intrinsic value of flight and its ability to connect the peoples of the world that truly motivates Skordas. “I think the thing that I am looking forward to most as a Virgin Australia pilot will be the satisfaction of safely moving people from A to B, whether it’s reconnecting family members, or taking people to an important business meeting,” he comments. To learn more about the Virgin Australia cadetship program and potentially apply, follow the link. Good on you James! Keep following your dream.